Since winning the show in November 2017, Sophie has appeared on Lorraine, various radios shows including RTE 1, BBC Radio 5 live, and has been published in The Telegraph, The Sunday Times, The Irish Independent, The Mail on Sunday, OK magazine, The Radio Times, Delicious magazine and numerous others.Currently she is regularily heard on Talk Radio, Saturday mornings with Cristo . She was recently shortlisted for The Women Of The Future Awards 2018 where she received a special commendation in the Media category. Keen to continue her culinary education, she has interned at the 1 Michelin-starred The Glasshouse under Chef Berwyn Davis and Raymond Blanc’s 2 Michelin-starred Le Manoir Aux Quat-Saisons under Chef Benoit Blin MCA. Sophie is a keen sportswoman. She is a competitive track cyclist and won age-group national titles in the Sprint in 2014 and the Individual pursuit in 2016. She took a hiatus to concentrate on Bake Off and is now back into training and hoping to podium at the World Age-Group Track Cycling Championship in 2019. She is also training for the British Stunt register, with her disciplines including: Taekwondo, Horse Riding, Scuba Diving and Rock Climbing. Has started her own company, Sophie Faldo Couture Cakes, which creates wedding cakes and dessert catering for special events. She has been lucky to count celebrity actress Sunetra Sarker as one of her happy clients. Sophie is appearing as a presenter in her first TV show after Bake Off, in the adventure food and travel show, Travel With A Goat, which aired in January 2019. March 2019 saw her, Laurent-Perrier Champagne Sophie Faldo Afternoon Tea events, running at the London Intercontinental Hotel 02 all month. 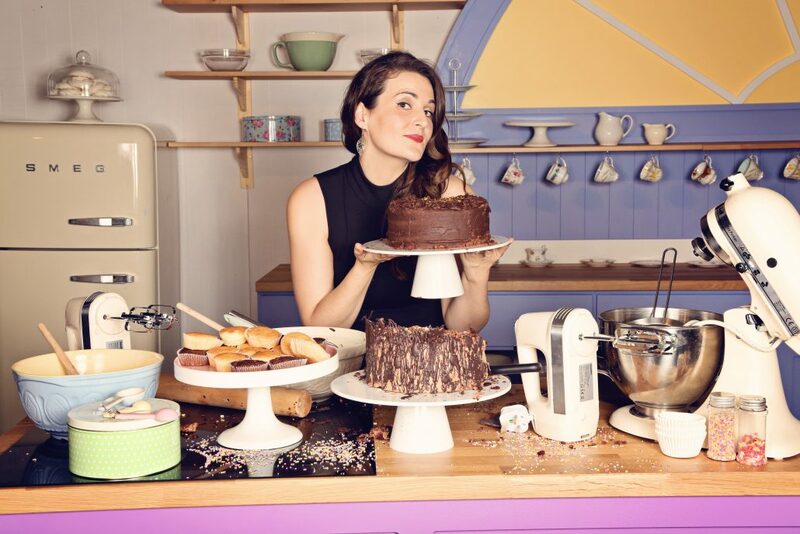 Sophie is currently developing a super Baking Nationwide Tour, alongside her many guest appearances and demonstrations.